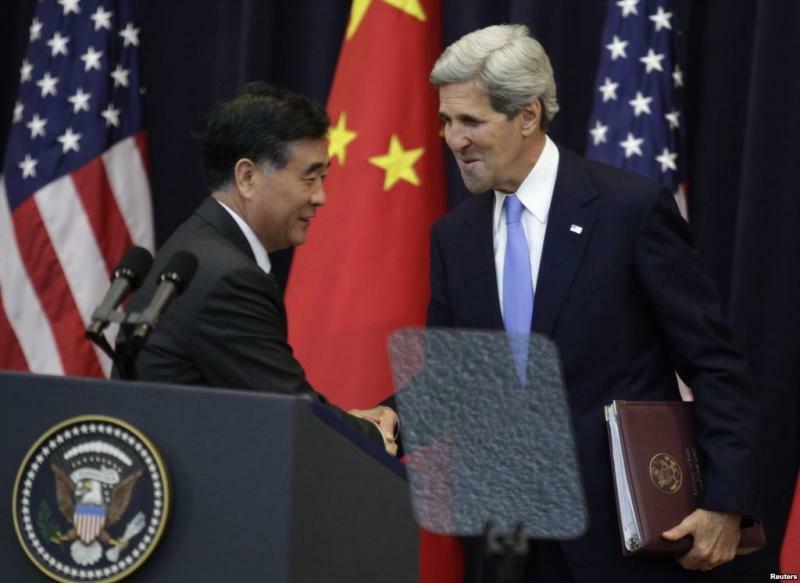 The U.S. and China bilaterally agreed on actions to reduce greenhouse gas emissions. Representatives of non-governmental organizations say that Russia, being among the largest emitters, shall join the process. The climate initiatives have been developed by bilateral US-China working group on climate change within the framework of the strategic and economic dialogue. In a joint statement, the countries report "the overwhelming scientific consensus on man-made climate change and its consequences, as well as the urgent need to strengthen global efforts to combat climate change and encourage ambitious national and joint action on the part of China and the United States and are the most important than ever." China and the United States are the main "culprits" of climate change: China is the first in the volume of greenhouse gas emissions (19% of global emissions), and the United States are the second (18.4%). The first initiative of US-China cooperation concerns "reductions in emissions from heavy and other vehicles." Representatives of the countries point out that namely cars are "the most common source of carbon emissions in transport systems" of the two states. It is pointed out that "lighter cars are also considered to be a significant source of air pollution." The countries consider it important to reduce the level of carbon dioxide by means of its utilization and storage. The joint statement underlines, that "the United States and China account for over 40 percent of world coal consumption. Emissions from coal combustion in power generation and industry can be significantly reduced through carbon recycling and storage. " Both the U.S. and China expect to "increase energy efficiency in construction, industry and transport." Both parties will strengthen their efforts to promote energy efficiency in buildings, which account for over 30 percent of energy consumption. Much attention will be paid to collection of data on greenhouse gases and management in this area. Countries intend to collect "accurate data on the extent of emissions by economic sectors and track progress in reducing emissions and in the development of adaptation programs." The U.S. and China agreed on setting up the so-called "smart" power grids of the new generation - Smart Grids. Projects related to alternative energy are also planned. The U.S. and China declare in their agreement that “both parties believe that joint action set out in the report give rise to substantial benefits for both countries. First, such action can help each country to develop in a sustainable manner. Significant additional benefits of investing in adaptation will give effect to the issues of energy security, reduction of air pollution, improvement of public health and preservation of natural resources. Both parties will benefit from development and introduction of new environmentally friendly and clean energy technologies that contribute to the economic prosperity and create jobs while reducing greenhouse gas emissions. " Commenting on the US-China initiative, Alexei Kokorin, the head of the Climate and Energy Programme of WWF Russia, said: "In Russia, people think that the climate is a sort of European idea. It is absolutely not true, the United States and China are doing much in this area, and it is high time for us to follow their experience and their interaction." Russia is among the five leading emitter of greenhouse gases. However, in the official position of the Russian delegation to the international climate negotiations, our country has often criticized inaction of other states, emphasizing the futility of its own responsibility over the general background. Now Russia has lost almost all its arguments. It is time to decide whether to remain the anti-leader that hinders the process or to become a true leader with practical initiatives and commitments. Representatives of non-governmental environmental organizations state that the second option is much more perspicacious, both in terms of image, and from the viewpoint of the environment and in terms of economic opportunities.